Corresponding author. Tel. : +41 52 202 12 79. E-mail address: [email protected] (C.S. Weckerle). (1999). He mentions the use of the bakera and other traditional therapies before and after childbirth. To date a detailed documentation of the bakera plants and the preparation of the steam bath in the Minahasa region is lacking. The bakera is still widely used and midwives and women hold the knowledge of its preparation. The aim of the present study is to systematically document this knowledge in order to sustain it and make it available in the local health care centers. Based on literature search and discussions with two medical doctors and specialists in Switzerland we evaluate the therapeutic effects of the bakera steam bath and the plants used and assess the safety of the method. The opinion of the medical doctors and specialists (cited as personal communication and listed under references) is summarized under Section 5.2, whereas all the information given under Section 4 does reflect the knowledge of the local people. Approximately 1.3 million people inhabit the Minahasa region. The Minahasa, who still form the ethnic majority, are linguistically and culturally closely related to the people of the Southern Philippines (Whitten et al., 2002). Especially in the cities, the cultural heterogeneity is growing. Due to the missionaries’ activities in the last few decades of the 20th century, 80% of the inhabitants of Minahasa are Christians; 19% are Muslims and the remaining Hindus and Buddhists (BPS, 2005). Since the first half of the 19th century Dutch colonialists and Christian missionary organizations had a strong influence on the development of the region, promoting health care and education (Whitten et al., 2002). The island of Sulawesi is located in the Malay Archipelago and forms the fourth largest island of Indonesia. The research area is part of the Minahasa region (0◦ 25 –1◦ 58 north latitude and 124◦ 20 –125◦ 20 east longitude) located in the province of North Sulawesi (Fig. 1). The permanently humid climate in combination with the volcanic soils allows agriculture in most areas of the Minahasa region. Thus, the original tropical forest has been almost completely converted into agrarian land, with only few patches of secondary forest left. Besides numerous rice paddies and homegardens, there are huge forest gardens for permanent horticulture, usually specializing in a small number of cash crops but with up to 120 different cultivated species (Brodbeck, 2004). More than one answer per interviewee allowed. They also mentioned that the herbal steam bath activates blood circulation and perspiration, so that the body can get rid of socalled ‘poisonous and pernicious sweat’. Further more it may contribute to the elimination of the remaining blood, mucus, and placental tissue (lochia), and the “dirty water of the baby”, as well as the contraction of the womb, and it may help the body to regain its pre-pregnancy shape and muscle tone. Similar reasons for the use of the bakera were given by women in hospital confinement and by traditional midwives. 4.2. Plants used for the preparation of the bakera All together 60 different plant species belonging to 34 families were documented to be used for the bakera (Table 3). Among the midwives 38 species were recorded and 43 among the mothers, whereas 21 species were mentioned by both groups. Most people prefer a specific mixture of plants that is recommended either by a local midwife or knowledgeable family members. This tradition is past down from generation to generation. Depending on the species and tradition various plant parts such as bulbs, rhizomes, stalks, buds, leaves, flowers, fruits, seeds or even the whole plants are used for the bakera preparation. Rhizomes, bulbs and fruits are usually chopped whereas other parts are used as a whole. Overall 408 use-reports have been collected, 91 among the midwives, and 317 among the mothers. The most cited species among the midwives and the mothers are shown in Fig. 2. If the results for the midwives and the mothers are combined, Citrus hystrix (kaffirnlime; 14.5% of total use-reports), Cymbopogon citratus (lemongrass; 14.5%), Syzygium aromaticum (clove; 14.2%), and Myristica fragrans (nutmeg; 12.7%), are the most favored plants for the bakera (Fig. 2). Clove and nutmeg, which are said to warm up the body, are especially often used in Taratara Dua and may reveal a local specialty. Kaffirnlime is used as a charme against evil and lemongrass perfumes the body. Palm lily (Cordyline terminalis), which is also favored as ingredient of the bakera, plays an important role in Minahasa. It is a natural sign to mark properties and to keep away evil things, so it usually grows on the border between neighbours’ houses, gardens or fields and it is part in many ceremonies. The bakera plants are mainly grown in homegardens or in cultivated fields near the village. The midwives tend to spend more time on the collection of the plants while the mothers mainly use ingredients found in the close vicinity. bd: bud; bu: bulb; fl: flower; fr: fruit; ly: leaves; rh: rhizome; se: seed; st: stalk; wh: whole plant; wo: wood. Fig. 2. The 10 most cited species among the midwives, the mothers, and in combination. Fig. 3. Multiple functionality of bakera plants used by the midwives and the mothers. Sources: de Billerbeck et al. (2001); Casey et al. (1971); Dubey et al. (2000); H¨ansel et al. (1999); Hwang et al. (2000); Jantan bin et al. (2003); Lawrence (2002); Oyen and Nguyen (1999); Ozaki (1990); Taroeno et al. (1991); Yamazaki et al. (1988); Zimmermann (2004). dichotomous thinking of modern scientific perspective versus traditional local knowledge is not appropriate in this context (van Eeuwijk, 2000). Of essential importance for the future use of the bakera are the opinions and attitudes of the professional health-care providers. The more the bakera is appreciated by the medical doctors the more it is valued by the mothers. The results of the present study were therefore presented to a group of medical doctors from hospitals, in order to promote the use of the bakera as a method for recuperation after child birth. Furthermore, handouts were prepared for the employees of the OAI in order to disseminate the traditional recipes. If the traditional knowledge is incorporated into the modern training courses for midwives, its application is supported by professional health care providers, and the traditional recipes are made available in the health centers, the bakera may continue to play an important role in postnatal care among the people in the Minahasa region. It is now up to the local health care providers to take decisive measures. Time will tell how the bakera will be influenced by recent changes in the society, whether it will be maintained or die along with the declining profession of a traditional midwife. Acknowledgements The successful field experiences would not have been possible without the kindness and cooperation of the people in Minahasa. Special thanks are also due to the following people for their help and support of this work: Richard Bolli and Johannes Marti (Zurich), Rolf Rutishauser (University of Zurich), Esther St¨ahelin (Basel and Tomohon), Peter van Eeuwijk (Universities of Basel and Zurich), Kathrin Rutishauser, and Franz Huber (Zurich), Aatje Tirie (Taratara Dua), Aba Lengkong, Lilis Pangemanan D. (UNSRAT, Manado University, Indonesian Research Institute, LIPI), Eko Baroto Walujo, Elizabeth Widjaja, Ir. Y. Purwanto, Siti Susiarti, and Arief Hidayat (University and Herbarium Bogor, LIPI), and the employees of the ‘Traditional Medicine Program (OAI)’ of the Health Foundation of the Protestant Church of Minahasa. We also thank Barbara Frei (University of Neuchatel) and Christian Wagner (Basel) for pointing out some useful literature. The study was financially supported to the first author by the Stiftung zur F¨orderung der Pflanzenkenntnis, Basel, the Swiss Academy of Sciences, and the Baumann-H¨olzle Fonds, Zurich. References Alexander, M., 2001. Aromatherapy and immunity: how the use of essential oil aids immune potentiality; in four parts. Part 1: how essential oil odourants affect immune potentiality. The International Journal of Aromatherapy 11, 61–66. Anderson, E.F., 1993. Plants and people in the golden triangle: ethnobotany of the hill tribes of northern Thailand. Silkworm Books, Chiang Mai. Backer, C.A., Bakhuizen van den Brink Jr., R.C., 1963. Flora of Java. Noordhoff, Groningen. Biro, S., Masuda, A., Kihara, T., Tei, C., 2003. Clinical implications of thermal therapy in lifestyle-related diseases. Experimental Biology and Medicine 228, 1245–1249. Bourdy, C., Walter, A., 1992. Maternity and medicinal plants in Vanuatu I. The cycle of reproduction. Journal of Ethnopharmacology 37, 179–196. I.S. Zumsteg, C.S. Weckerle / Journal of Ethnopharmacology 111 (2007) 641–650 BPS, 2003. Badan Pusat Statistik Kabupaten Minahasa. Minahasa dalam angka—Minahasa in Figures 2002. Tondano. BPS, 2005. Badan Pusat Statistik Provinsi Sulawesi Utara. http://sulut.bps. go.id/. 05.06.2005. Brodbeck, F., 2004. Structure and process in traditional forest gardens of Central Sulawesi, Indonesia. Cuvillier Verlag, G¨ottingen. Bronaugh, R.L., Wester, R.C., Bucks, D., Maibach, H.I., Sarason, R., 1990. In vivo percutaneous absorption of fragrance ingredients in Rhesus Monkeys and humans. Food and Chemical Toxicology 28, 369–373. Browner, C.H., 1985. Plants used for reproductive health in Oaxaca Mexico. Economic Botany 39, 482–504. Bunyapraphatsara, N., van Valkenburg, J.L.C.H., 2001. Medicinal and Poisonous Plants, vol. 2. Backhuys Publishers, Leiden, PROSEA. Burns, E., Blamey, C., Ersser, S., Lloyd, A., Barnetson, L., 2000. The use of aromatherapy in intrapartum midwifery practice, an observational study. Complementary Therapies in Nursing and Midwifery 6, 33–34. Casey, T.E., Dougan, J., Matthews, W.S., 1971. Essential oil of “phlai”, Zingiber cassumunar, from Thailand. Tropical Science 13, 199–202. Cullen, J., 1995. The European Garden Flora, Dicotyledons (Part II). Cambridge University Press, Cambridge. Cullen, J., 1997. The European Garden Flora, Dicotyledons (Part III). Cambridge University Press, Cambridge. Cullen, J., 2000. The European Garden Flora, Dicotyledons (Part IV). Cambridge University Press, Cambridge. Dalimartha, S., 2004. Atlas Tumbuhan Obat Indonesia. Trubus Agriwidya, Jakarta. Dubey, N.K., Tripathi, P., Singh, H.B., 2000. Prospects of some essential oils as antifungal agents. Journal of Medicinal and Aromatic Plant Sciences 22, 350–354. de BillerbeckF V.G., Roques, C.G., Bessi`ere, J.-M., Fonvieille, J.-L., Dargent, R., 2001. Effects of Cymbopogon nardus (L.) W. Watson essential oil on the growth and morphogenesis of Aspergillus niger. Canadian Journal of Microbiology 47, 9–17. de Guzman, C.C. (Ed. ), 1999. Spices. Backhuys Publishers, Leiden, PROSEA. Erhardt, W., Zander, R., 2002. Handw¨orterbuch der Pflanzennamen. Ulmer, Stuttgart. Falch, B., Pharmacists and Women’s Health Specialist, 2005. Personal Communication, Zurich, Switzerland. Falch, B., Frei Haller, B., Kuntner, L., 2002. Heilpflanzen in der Geburtshilfe. ¨ in: R¨ub, D., Schindler, M., (Eds. ), Aller Anfang. Osterreichisches Museum f¨ur Volkskunde, Wien, pp. 172–179. Hannuksela, M.L., Ellahham, S., 2001. Benefits and risks of sauna bathing. The American Journal of Medicine 110, 118–126. H¨ansel, R., Sticher, O., Steinegger, E., 1999. Pharmakognosie–Phytopharmazie. Springer, Berlin. Hausen, B.M., Vieluf, I.K., 1997. Allergiepflanzen, Pflanzenallergene. Handbuch und Atlas der allergie-induzierenden Wild- und Kulturpflanzen. Ecomed, Landsberg. Holmes, P., 1997. The Energetics of Western Herbs. Treatment Strategies Integrating Western and Oriental Herbal Medicine. Snow Lotus Press, Boulder. Hwang, J.-K., Shim, J.-S., Baek, N.-I., Pyun, Y.-R., 2000. Xanthorrhizol: a potential antibacterial agent from Curcuma xanthorrhiza against Streptococcus mutans. Planta Medica 66, 196–197. Jain, A., Katewa, S.S., Chaudhary, B.L., Galav, P., 2004. Folk herbal medicines used in birth control and sexual diseases by tribals of southern Rajasthan, India. Journal of Ethnopharmacology 90, 171–177. Jantan bin, I., Yassin, M.S.M., Chin, C.B., Chen, L.L., Sim, N.L., 2003. Antifungal activity of the essential oils of nine Zingiberaceae species. Pharmaceutical Biology 41, 392–397. Jordan, B., 1989. Cosmopolitical obstetrics: some insights from the training of traditional midwives. Social Science and Medicine 28, 925–937. Koh, D., Ong, C.N., 1999. Phytophotodermatitis due to the application of Citrus hystrix as a folk remedy. British Journal of Dermatology 140, 737–738. Kuntner, L., Physiotherapist and Women’s Health Specialist, 2006. Personal Communication, Kuttigen, Switzerland. Lampah, J., Staehelin, E., Limpeleh, A., Londok, R., 1998. Pedoman Tanaman Obat Keluarga (TOGA) dan Pemanfaatan Tanaman untuk Kesehatan Keluarga. Steven Wondal, Tomohon. Lawrence, B.M., 2002. The oil composition of less common Citrus species. In: Hardmann, R., (Ed. ), Medicinal and Aromatic Plants—Industrial Profiles. Taylor and Francis, London, pp. 114–147. Lee, R.A., Balick, M.J., Ling, D.L., Brosi, B.J., Raynor, W., Sohl, F., 2001. Special Report. Cultural dynamism and change—an example from the federated states of Micronesia. Economic Botany 55, 9–13. Lefeber, Y., Voorhoeve, H.W.A., 1998. Indigenous Customs In Childbirth And Child Care. Van Gorcum, Assen. Maddocks-Jennings, W., Wilkinson, J.M., 2004. Aromatherapy practice in nursing: literature review. 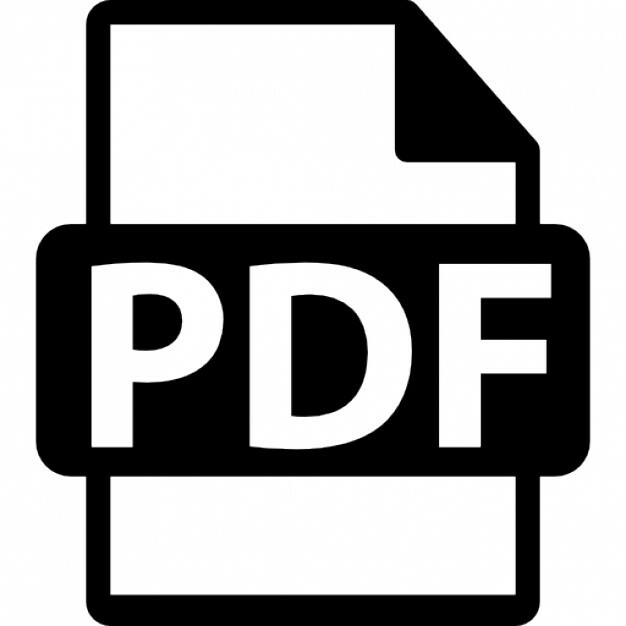 Journal of Advanced Nursing 48, 93–103. Melzer, J., Medical Doctor, 2005. Personal Communication, Zurich, Switzerland. Oyen, L.P.A., Nguyen, X.D. (Eds. ), 1999. Essential-Oil Plants. Backhuys Publishers, Leiden, PROSEA. Ozaki, Y., 1990. Antiinflammatory effect of Curcuma xanthorrhiza Roxb. and its active principles. Chemical and Pharmaceutical Bulletin 38, 1045–1048. Papp, A., Alhave, E., 2003. Sauna-bathing with sutures. A prospective and randomised study. Scandinavian Journal of Surgery 92, 175–177. Reichling, J., Hostanska, K., Saller, R., 2003. Johanniskraut (Hypericum perforatum L.)—Vielstoffgemische kontra phytogene Einzelstoffe. Forschende Komplement¨armedizin und Klassische Naturheilkunde 10, pp. 28–32. Ria Hutapea, J., 1994. Inventaris tanaman obat Indonesia (III). Balitbangkes Depkes RI, Jakarta. Roth, L., Daunderer, M., Kormann, K., Frank, H.K., Daunderer, G., 1994. Giftpflanzen, Pflanzengifte. Vorkommen, Wirkung, Therapie, allergische und phototoxische Reaktionen. Ecomed, Landsberg. Saller, R., Medical Doctor, 2005. Personal Communication, Zurich, Switzerland. Saller, R., Melchart, D., 2002. Naturheilverfahren. Leitfaden f¨ur die a¨ rztliche Aus-, Fort- und Weiterbildung. Schattauer, Stuttgart. Siagian, M.H., 2002. Usaha Perawatan Kesehatan Dengan Berbagai Jenis Tumbuhan: Telaah Pemanfaatannya Oleh Wanita Suku Melayu Di Pulau Singkep, Riau. Prosiding Simposium Nasional II Tumbuhan Obat dan Aromatik. Pusat Penelitian Biologi-LIPI, Bogor, Jakarta, pp. 55–60. Singh, Y.N., Ikahihifo, T., Panuve, M., Slatter, C., 1984. Folk medicine in Tonga. A study on the use of herbal medicine for obstetric and gynecological conditions and disorders. Journal of Ethnopharmacology 12, 305– 329. Stachowiak, K., 2002. Aromatherapie. In: Vieten, M. (Ed. ), Naturheilverfahren in der Hebammenarbeit. Hippokrates Verlag, Stuttgart, pp. 27–36. St¨ahelin, E., Pharmacist, 2005. Personal Communication. Meetings in Basel, Switzerland. Taroeno, Brophy, J.J., Zwaving, J.H., 1991. Analysis of the essential oil of Zingiber cassumunar Roxb. from Indonesia. Flavour and Fragrance Journal 6, 161–163. Ticktin, T., Dalle, S.P., 2005. Medicinal plant use in the practice of midwifery in rural Honduras. Journal of Ethnopharmacology 96, 233–248. van EeuwijkF P., 1999. Diese Krankheit passt nicht zum Doktor. Medizinethnologische Untersuchungen bei den Minahasa (Nord-Sulawesi, Indonesien). Wepf & Co. AG Verlag, Basel. van EeuwijkF P., 2000. Health care from the perspectives of minahasa villagers Indonesia. In: Whiteford, L.M., Manderson, L. (Eds. ), Global Health Policy, Local Realities: The Fallacy of the Level Playing Field. Lynne Rienner Publishers, Colorado, pp. 79–101. van Steenis, C.G.G.J. (Ed. ), 1948. Flora Malesiana. Noordhoff-Kolff, Djakarta. van Steenis, C.G.G.J., 1992. Flora untuk sekolah di Indonesia. PT Pradnya Paramita, Jakarta. Varga, C.A., Veale, D.J.H., 1997. Isihlambezo: utilization patterns and potential health effects of pregnancy-related traditional herbal medicine. Social Science and Medicine 44, 911–924. Wagner, C., Suter, M., 2000. Collect Flora Medicinalis CD-Rom. M. Suter Office Support, Dietikon. Walters, S.M., 1989. The European Garden Flora, Dicotyledons (Part I). Cambridge University Press, Cambridge. Wang, L.L., Nanakorn, W., Fukui, K., 2003. Food and medicinal plants used for childbirth among Yunnanese Chinese in Northern Thailand. Journal of Ethnobiology 23, 209–226. Watuseke, F.S., 1970. Oude gebruiken bij zwangerschap en geboorte in Tondano. Bijdragen tot de taal-, land-en volkenkunde 126, pp. 448–454. Whitten, T., Henderson, G.S., Mustafa, M., 2002. The Ecology of Sulawesi. Eric Oey, Singapore. WHO, 1978. Alma Ata 1978. Primary Health Care. Report of the International Conference on Primary Health Care. World Health Organization (WHO), Geneva. Wolters, B., 2003. Phytotherapie im Dampfbad der Ureinwohner Nordamerikas. Schwitzb¨ader Nord-, Mittel- und S¨udamerikas. Bd. XIII. Ethnologia Americana, Sonderheft 2, pp. 1–230. Wolters, B., 2004. Arzneipflanzen in der Balneotherapie der Ureinwohner Mittel- und S¨udamerikas. Schwitzb¨ader Nord-, Mittel- und S¨udamerikas. Bd. XIV. Ethnologia Americana, Sonderheft 4, pp. 1– 709. Wolters, B., 2005. From Northeast Asia to Tierra del Fuego—history and spreading routes of Native American steam baths and other bath therapies. Migration and Diffusion 6, 78–93. Yamazaki, M., Maebayashi, Y., Iwase, N., Kaneko, T., 1988. Studies on pharmacologically active principles from Indonesian crude drugs. II. Hypothermic principle from Curcuma xanthorrhiza Roxb. Chemical and Pharmaceutical Bulletin 36, 2075–2078. Zimmermann, E., 2004. Aromatherapie f¨ur Pflege- und Heilberufe Das Kursbuch zur Aromapraxis. Sonntag Verlag, Stuttgart. Zumsteg, I.S., 2005. Plants and Traditions used in Prenatal and Postnatal Care in Minahasa, North Sulawesi, Indonesia. Master Thesis, Institute of Systematic Botany, University of Zurich. Report "Bakera, a herbal steam bath for postnatal care in Minahasa (Indonesia): Documentation of the plants used and assessment of the method"